The Namdapha National Park is the 3rd largest National Park in India in the terms of area. The park was established as Wildlife Sanctuary in 1972 ans was declared a tiger reserve and National Park in 1983. Largest protected area in Eastern Himalayan Biodiversity hotspot is Namdapha National Park. The park is located in the Changlang district in the state of Arunachal Pradesh. 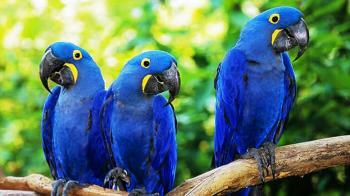 The park is recognized as one of the richest areas in biodiversity in India. The national park is nestled between the Patkai range and Dapha bum range of Mishmi Hills. The park lies along the turbulent Noa-Dihing River at the international border between India and Myanmar. Total area of the park is 1807.82 Km2. 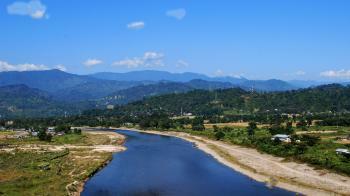 In the State of Arunachal Pradesh, India there is a small town for visit known as Bhalukpong. It is located in the Kameng district. This place is famous for trekking. The ideal duration of this place is 1 day. Aka, Hindi, Assamese and English languages are used in this place. There are many tourist spots in this place. The major attractions of this place is Angling and river rafting. The altitude of this place is 213 mt. above the Sea level. Bhalukpung was governed by local tribal Aka rulers. 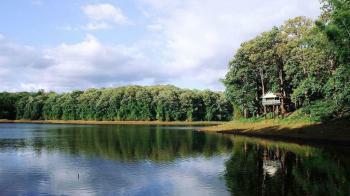 Bhalukpong is mainly popular as nature’s paradise. This place is close to Assam-Arunachal Pradesh border. This place is good for nature lovers, adventurers, hikers, rafters and anglers. In the state of Arunachal Pradesh, India there is beautiful city to visit known as Tawang. The altitude of this place is 2669 mt. above the sea level. This place is famous for its Scenic. English, Tibetan and Hindi languages are used in this place. Tawang Monastery is one of the important element in the religious life of Monpas. There are different places and Lakes to visit in Tawang. In the Tawang there are different types of festivals are celebrated. Hornbill Festival, Moatsu, Laho Dance festivals are the major festivals. 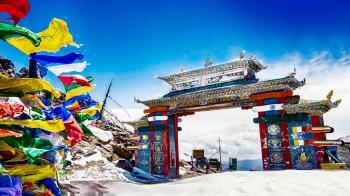 The are two religious famous festivals are celebrated in Tawang. Losar and Torgya are the two major religious festivals in the Tawang. There is 400 year old Buddhist temple in this place. In the State of Arunachal Pradesh, India there is place to visit called Itanagar. It is a good place for visit. Itanagar is located in the Papum Pare District. The Ideal duration of this place is 1 to 2 days. Itanagar is the natural paradise. It is situated in the foothills of the himalayas. The elevation of this place is 750 mt. above the sea level. The Itanagar attracts the nature lovers. There are many attractions in this place. 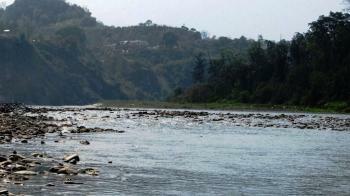 The main attraction is Ganga Lake which is also called Gyakar Sinyi. Assamese, English and Bengali languages are used in this place. This place is famous for its Scenic Beauty. The weather is pleasant throughout the year. There are many places to visit in the Itanagar. There are many types of festivals celebrate in this place. Reh and Mopin festivals are the famous festivals in the Itanagar. In the year of 1974 it became the capital of Arunachal Pradesh. Eaglenest or Eagle's nest Wildlife Sanctuary is the protected area in the Himalayan foothills of West Kameng district in the state of Arunachal Pradesh. Altitude range of the sanctuary is from 1,640 ft to 10,663 ft. It is a part of the Kameng Elephant Reserve. Eaglenest is notable as a prime birding site due to the extraordinary variety, numbers and accessibility of species. Eaglenest derives its name from Red Eagle Division of the Indian Army which was posted in the area in 1950s. 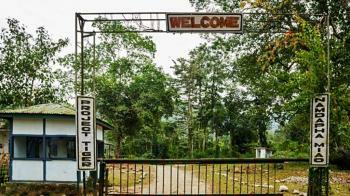 Pakhui Wildlife Sanctuary is the project tiger reserve loacted in the East Kameng district of Arunachal Pradesh. An area of 882 sq km is reserve by the Department of Environment and Forest of Arunachal Pradesh. A notification issued by the Principal Secretary the Governor of Arunachal Pradesh renamed Pakhui Wildlife Sanctuary as Pakke Wildlife Sanctuary. This Tiger Reserve has won India Biodiversity Award 2016 in the category of 'Conservation of threatened species' for its Hornbill Nest Adoption Programme.